Joshua Chamberlain of Maine forged a remarkable career during the Civil War. An academic and theologian by training, this modest young professor left Bowdoin College to accept a commission as lieutenant colonel of the 20th Maine. He fought at Antietam and Fredericksburg, then led his regiment to glory at Gettysburg, where he ordered the brilliant charge that saved Little Round Top. Witness to Gettysburg brings the bloodiest, most crucial battle of the Civil War to life through on-the-spot eyewitness accounts. From the courageous fighting men and officers to the civilians watching as the conflict raged through their towns, from the reporters riding with the regiments to the children excited or terrified by the titanic drama unfolding before them, each account stems from personal experience and blends with the whole to create a startlingly vivid tapestry of war. In their own words, and through the eyes of their closest aides, such commanders as Robert E. Lee, Jeb Stuart, George Meade, and Abner Doubleday emerge as memorable, living men. So does the seventy-year-old Gettysburg resident John Burns, who joined a Union regiment when the rebels angered him by driving away his milk cows, was three times wounded, and emerged from the battle a national hero. This is eyewitness history at its best. 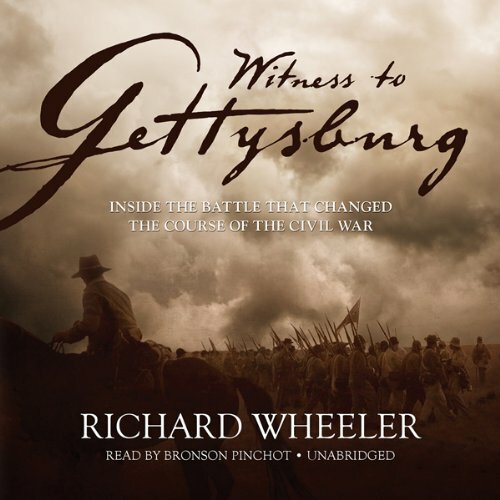 Richard Wheeler, an ex-marine, is the author of numerous books of military history, eleven of which deal with different Civil War campaigns and battles, including Voices of the Civil War, winner of the Civil War Round Table of New York’s Fletcher Pratt Award. He is also the author of Voices of 1776: The Story of the American Revolution in the Words of Those Who Were There. 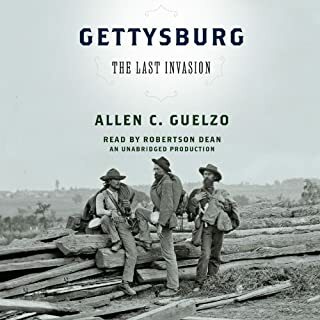 ©1987 Richard Wheeler (P)2012 Blackstone Audio, Inc.
Where does Witness to Gettysburg rank among all the audiobooks you’ve listened to so far? The content is unique to the Gettysburg books and well organized. 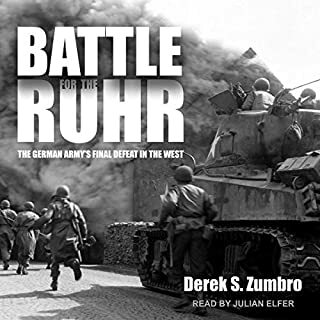 Having read a dozen plus works on the battle, this one offers new texture, tone, and imagery...not easy to do. The voices are carefully crafted and weighted correctly to fit the witness.....very few stereotypic cliched voices here - refreshing given what others have done to works like The Killer Angels etc. clearly expands one's visions of Gettysburg. Varied, intelligently studied with an awareness of the usual traps in affecting Southern, female, and the anxious voices of combat. He has many interpretations and uses them very well. Accurrate first hand accounts from participants, both blue and grey, and local residents. 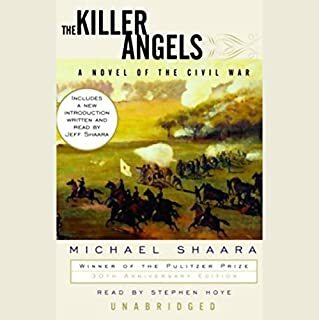 Totally different perspective from other narrative descriptions of the battle and events that led up to those three fateful days in July of 1863. Even for a veteran Gettysburg battle follower as myself this was a master class above and beyond any previous experience. Born and raised in Gettysburg, and a lifelong tourist of the area, with countless trips to musuems and field displays, I still gained many new insights. History from the mouths of witnesses, first hand, from letters, diaries and news accounts of the day. Powerful stuff. The Battle of Gettysburg Comes Alive! This is the kind of book that is better listened to than read, because it delivers the actual words of real people who were there. According to the author, he compiled his information from journals, diaries, letters, official documents, newspaper excerpts, etc., and the depth of his research is evident. Also, the book is skillfully read with appropriate voices-Southern, Northern, woman, girl, man, boy. Speakers range from the illustrious (General Lee) to the ordinary (a young girl residing in Gettysburg). Although the book starts with Lee moving his troops north for invasion, the principal location is Gettysburg, PA. The time is late June to July 4th, 1863. Through the words of actual participants, and the emotions those words reveal, the author brings us into the thick of things, so that the horror of war is presented in all its ugly facets. This is war up close and personal, and the book is read so well that the reader almost feels the actual experience. Northern and Southern soldiers mill around in smoke and dust so thick it is hard to tell friend from foe. Minie balls from rifles whiz through the air. Swords and bayonets come into play when ammunition runs out or the foe is too close to allow time for reloading the single-shot rifles. Cannon balls and canister shot (grape shot) rip limbs from soldiers. Wounded lie on the battlefield pleading for help. Amazing acts of kindness and charity between enemies and out of concern for civilians caught in the middle starkly contrast with the surrounding carnage. Bravery and courage abound, but soldiers freely express their fears and leaders their misgivings. Sadly some excerpts come from fighters who were later killed. Even though we know how the battle comes out, we see how evenly balanced the sides were and how easily the outcome could have been different. This is not a book for sensitive people due to its graphic content, but I highly recommend it for any readers interested in the Civil War. A Powerful Insight Into The Battle of Gettysburg! 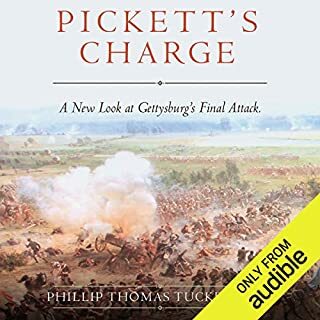 I would highly recommend this audiobook to anyone who is curious about the Battle of Gettysburg and how people at the time reacted to and felt about the Civil War, and even their enemy across the field. What other book might you compare Witness to Gettysburg to and why? Obvious comparison is to Killer Angels. 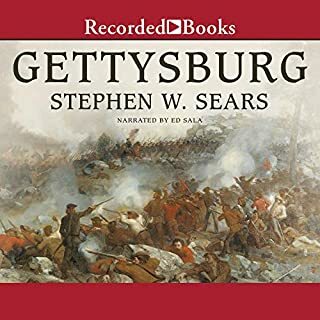 Although I would have to hear that book on audio to make a true comparison, I really can't see how it could be more riveting than listening to Witness To Gettysburg. The most interesting way to look at this event. I would recommend this book to anyone, history buff or not. The unique perspective of the civilians involved in the battle is something I have not heard or read before. Which character ??? as performed by Bronson Pinchot ??? was your favorite? They are all very good, especially the southern voices. 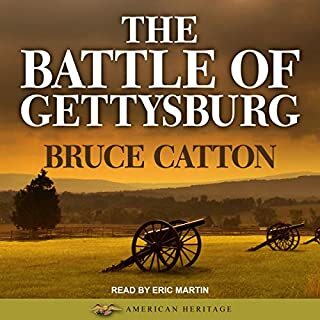 It did not make me cry and it is not a subject that lends itself to laughter, but some of the little personal details really made me think about just what the battle of Gettysburg was really all about. As a student of the battle, this book gave a great perspective of the personal nature of it. Bronson Pinchot did a fantastic job of bringing the stories to life.